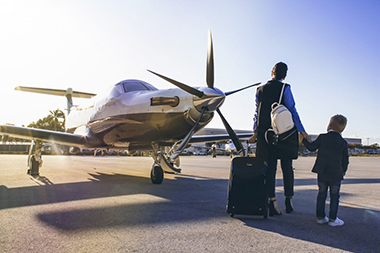 TapJets™ Rewards — eliminates the need to purchase jet card or fractional memberships by allowing our clients direct access to the largest virtual fleet of aircraft operated by top-tier FAA certified air-carriers. There are no membership fees, no upfront fees, and no gimmicks. You simply pay for the time you fly and get rewarded once you reach a certain number of hours for each Rewards tier. 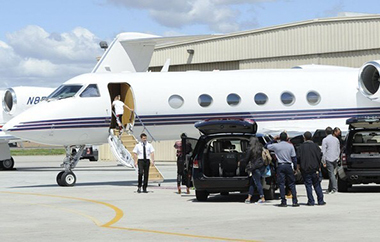 Ability to trade your FREE hours to any other aircraft category at a fixed exchange rate. Rules and Conditions: TapJets Rewards Tier eligibility is based on hours flown in one calendar year. Reward hours expire in 24 months from receipt. If you decide to upgrade to a different size of aircraft (or downgrade) hours can be traded based on market value of the flight hours. Rewards Hours: Rewards Hours are accrued based on your most typically used aircraft type (e.g. 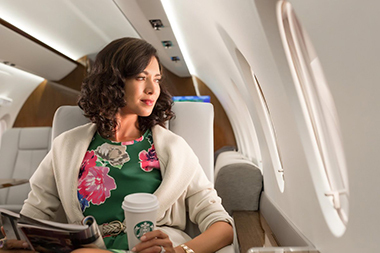 if you typically fly midsize jets, your Rewards Hours will be redeemable for midsize flight time. However, we’re giving you the flexibility to transfer your rewards hours at fixed rates if you wish to upgrade and maximize your reward.